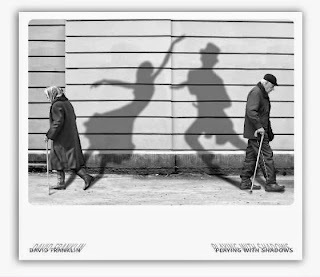 David Franklin is a musician and therapist that spent close to three years recording his most recent effort Playing With Shadows. This is his seventh recording. The instrumental new age album has 18 tracks of acoustic piano and guitar pieces that include some special guests that include Michael Manring (fretless bass on 10 tracks), Rick Corrigen (accordion) and Alex Franklin (electric guitar). It was mixed and mastered by Warren Kahn. One of the main ingredients that take a part of the success on this album for Franklin is the addition of Michael Manring on bass. Michael's basses are custom made to his specs He plays a 4-string fretless Zon bass and he often plays with an ebow. He creates a unique sound that compliments Franklin’s guitar and piano playing. A note of interest is that Franklin plays in about 25 different tunings on his guitar. Certainly these attributes are one of the main reasons the album has such a large palette of sounds and textures. 18 tracks is a lot of music and Franklin uses the space well throughout the recording. I was impressed with the overall diversity that I heard. Between the acoustic guitar, piano and Manring’s amazing fretless bass, each track held its own very well. For a listener that wants to take the time to hear it all fall into place within each track, I would recommend taking the time to do so. It not only soothes and relaxes; it brings to mind pleasant images that give a very spiritual atmosphere. Textured like a billowing cloud sitting in the middle of a clear blue sky, this music awaits you. The opening track “Living in Interesting Times,” certainly is an understatement in a literal sense however the music does set you at ease and does a nice job creating the proper mood and atmosphere of what to expect in the forthcoming tracks. There were a lot of good reasons to find this track one of the most key presentations on the album. “Song For The Dreaming” is another pick of the 18 tracks that really stayed with me and will prompt you to listen more than once. I featured it on our Rate The Tracks site as well. It is simplistic and that is the beauty of it. The guitar playing is smooth and flowing, it invites you in, and then you want to stay. So as a listener that means mission accomplished! “Shifting Landscapes: Dawn” and “Shifting Landscapes: Dusk (feat. Rick Corrigan)” are two very strong tracks. As dawn segues into dusk you will find out it serves as a logical progression in two parts that make total sense. The music is anticipatory and holds beauty and elegance all at the same time. I found the changes and clarity refreshing and interesting much like Mother Nature can be when you observe it from a spiritual healing place. 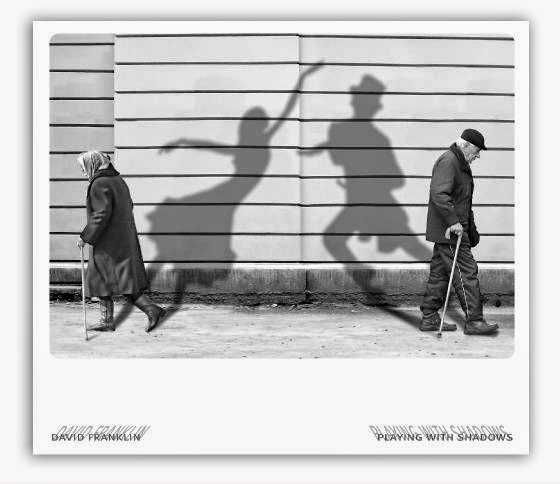 Playing With Shadows has a lot to offer a listener and it can give more than just aural pleasure if you seek solitude and need to look within and or meditate, this wonderful music can be a useful companion where you will find joy and peace.